If you’re familiar with Parker products, you know that they are expertly engineered and rigorously tested in order to provide the best possible performance. Parker hydraulic hoses Long Beach CA are no exception. If your hydraulic hoses have worn out or need replacement, it might be the perfect time to upgrade to Parker hoses. Come visit us at Bernell Hydraulics and let one of our knowledgeable staff members introduce you to the world of Parker hoses. When you choose Parker hydraulic hoses Long Beach CA, you can enjoy the fruits of a long company history of innovation and excellence in manufacturing and design. Parker’s heavy duty hoses are up to 450 times more resistant to abrasion than generic standard hoses. 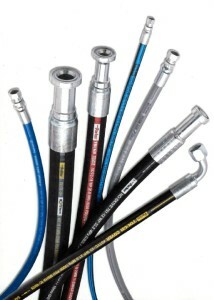 You might also be interested in Push-Lok hoses, which feature simple, push-on fittings for reliable, leak-free service, as well as a unique color-code system to keep your hoses organized. If you have any special requirements for your hoses, like added heat, UV, chemical, or weather resistance, Parker hoses can provide it. Next time you have a problem with your hydraulic hoses, contact Bernell Hydraulics for 24-hour onsite service. We can send a skilled technician right to your workplace to provide repairs or install new hoses as part of our HoseDoctor service. All you have to do is give us a call and let us know what hoses to bring.